UPDATE #2: New BTS picture from Cosmopolis with Rob and David Cronenberg + Canadian release date. The anticipation has nearly reached a boiling point, but the wait is almost over… David Cronenberg’s Cosmopolis opens in Canadian theatres June 8th! UPDATE: Deadline is reporting that eOnefilms will be could be handling distribution for Cosmopolis in North America and it's expected to be released this summer! Read entire press release. More on THR. You can now also preview the Cosmopolis soundtrack, and we've added a link to two more Cosmopolis clips with new scenes: Clip 1, Clip 2 - or watch them all below on YouTube. Here are the production notes. The Rob quotes and mentions are below but it's a 30 page document so you can see it all at the source by clicking on the press kit link. There are some great quotes from Rob, Cronenberg, and a few others and new details about the movie. David Cronenberg and long-time collaborator, casting director Deirdre Bowen, have assembled a remarkable cast, with talent from America, Canada, England, and France. The script is character-driven—much of the plot involves short, intense encounters between the protagonist and the secondary characters. The dialogue is central and often demanding. Eric Packer’s personality and psychological journey unfolds in a series of close interactions with the people of the cosmopolis—his employees, lovers and enemies. Choosing the lead actor was crucial, of course, and because the rest of cast would have to work briefly but intimately with the lead, supporting roles also required strong casting. Eric Packer is a selfish young member of the ruling class, at the top of the super-rich 1%. He is an anti-hero whose privileged reality is decadent and isolated. Casting Robert Pattinson in this unsympathetic role wasn’t obvious. Robert’s super-stardom perhaps gives him some insight to the pressures of success, but his pressures include the attention of a zealous fan base that might expect him in a different role. And he is younger than Eric Packer was envisioned, an age difference that influences the rest of the casting process. On the other hand, young billionaires and tech-savvy traders are not unusual in today’s society. Plus, casting Robert presents an opportunity to attract a new generation to Cronenberg’s work. 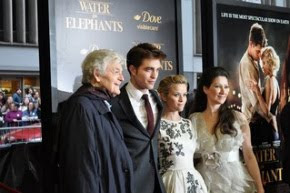 Ultimately, the choice rested on Pattinson’s talent and experience, with or without celebrity. 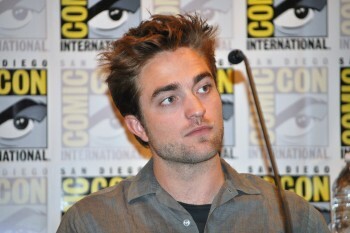 Cronenberg found Robert mature and willing to challenge himself: “...Rob is not deluded about his fame; he understands that popularity is not the essence of being a good actor, and recognizes the danger of taking projects to please others rather than himself.” Bringing the egomaniacal Eric Packer to life required Pattinson to forget being a sympathetic character. Cronenberg observes, “Some actors worry about not being appealing or sensitive, but that was never an issue for Rob; it was always about finding the often unlikeable truth of who Eric is and what it means to be a 25-year-old billionaire.... Rob is incredibly likeable, but he doesn’t need to be liked.” So Eric Packer, a financial god, perhaps soulless but with feet of clay, is realized by the charismatic, modest Robert Pattinson. Pattinson wanted a project that would take him to the edges of himself, and COSMOPOLIS provides the character to do it. Eric Parker is inscrutable and contradictory, both calculating and reckless. Robert had to find the emotional core of a man who is desensitized, a man who interprets the world in terms of numbers and acquisitions. Robert notes, “I think Eric has an all-consuming ego.” He lives an artificial existence, and Eric’s success seems a product of detachment and cold rationality. Yet his odd quest for a haircut is risky, irrational. He normally makes people come to him, including a physician for a daily exam, but he insists on seeing an old-fashioned barber on the opposite side of town, despite the risk to his personal safety. Rob notes his character’s grasp of contemporary events, business and politics. Eric Packer’s knowledge of the world, however, comes primarily through technology, and he sees most things as mere information, “some kind of list or matrix,” Rob suggests, about which he is dispassionate. Rob describes Eric “Watching screens informing him of current data all the time. I think he ends up taking drastic measures just to feel something because he’s become so desensitized.” He knows, and somewhat owns, many people but seems to have no friends. Even his new wife feels distant, an acquisition, someone to use or ignore. He is the master of his cosmos, but is he lonely at the top? Does he care? The enigma of Eric’s character is central to the film, and his interaction with secondary characters both shapes that puzzle and perhaps gives clues to solving it. There are many ways to direct a film. Cronenberg’s way does not involve rehearsing, improvising dialogue or using story boards: “I want the actors to have input into how they move around on set; their body language is as important as dialogue.” Only after that time on set alone with the actors do they bring the crew on set and perform the scene like a piece of theatre. Under the direction of Production Designer Arv Greywal, two pristine white limousines were purchased to create the main setting of the film. The first is seen in exterior shots of Eric getting in and out of the limo, driving through city streets, into a riot in Times Square. This car is eventually vandalized, beaten and burned, generally mirroring Packer’s own breakdown and descent into destruction. The second car was promptly carved into eleven pieces. Each piece was customized and modular so it would come apart to facilitate shooting from various angles within in the limo against a green screen. In post-production, Mr. X. Visual effects team would transform the green screen into Manhattan streets all the way across town. Space limitations meant that Cronenberg couldn’t be in there with the actors. So, he listened with headphones and communicated through an intercom system while watching the action on a monitor. Of course, he was only a few feet away from them and spoke to them personally a lot of the time. Given the nature of the story, this seems a fitting dynamic in which to work. There was however, a claustrophobic element that made shooting in the limo no easy task says Samantha Morton: “Truly the most challenging role I’ve ever had! So much dialogue in my head and the limo moving and people running around! Thank heavens for David’s comforting voice on the intercom!” Furthermore, most of the actors are only in the limo. Cronenberg joked that this was his version of Das Boot and encouraged people to see Lebanon, which takes place in a tank. After shooting mostly in the limo for over a month, Pattinson found it “refreshing” to get out and work with other actors experiencing a new set with him in Benno’s space and the barber shop, also meticulously created on set by Arv Greywal and his team. Don DeLillo’s Cosmopolis was published in 2003 and seemed to foretell events to come in 2008 and beyond—criminal activity on Wall Street, IMF scandals, the impact of technology on market fluctuations, and the crises of the American and European economies.